Evil try to discredit God’s Children. This is what was done while the Prophets roamed this earth, when they walked amongst us. This is what happened when the Son of God, Himself, roamed this earth….Jesus Christ (Yeshua, Yeshuay, Yeshu Christu). Evil does not want its true ways and identity to be revealed or even be recognized by the majority because it wants to take away as many souls as it can from God’s Eternal Kingdom. The danger that God’s Children pose to its plan is why they need to cause the confusion (as mentioned in the previous entry) and since God’s Children and their ways will contradict the majority who decide to follow Evil’s ways…evil will try to discredit them. Evil will discredit those bound to the Path of the Divine Laws of Love, to hide in plain sight. Since the time that humanity first sinned in the Garden of Eden, evil’s ways became more enticing, came with more ease to humanity. Which is why, humanity will find evil’s ways more pleasureable, enjoyable, and even beneficial, to those who decide out of their freewill to take part in Satan’s prideful, violent….intolerant, and envious ways, willingly; and will see God, ‘s Divine Laws of Love as unnecessary…..intolerant….weak….and niave. Satan and his demons will convince those that decide to willing rebel against God, the Father of Creation’s Divine Laws of Love, that the Divine Laws of Love are foolish. We must remember, a light that has been lit by God, the Father of Creation, in a soul that He saw fit to represent His Kingdom, while they roam this earth, is undeniable to even the most coldest and hardest of hearts, and the emptiest of souls. In just the same token, a soul that is guided by God’s Divine Laws of Love can recognize another soul that is empty or being led by Satan’s darkness. However, in order to hide it’s identity, evil will take on the philosophy of “survival of the fittest” and try to discredit God’s Children, so that its identity can remain hidden in this world, and continue with its plan to pull as many souls away from God, the Father of Creation (Devum, Jehovah, Yahweh). Remember, Jesus Christ has said, “Those who are first will be last; and those that are last will be first.” This is what Jesus Christ meant. Those who will be last in this world, considered the least, will be the first in God’s Eyes. We just need to remain on the path of God’s Divine Laws of Love, despite what Satan and his demons will do in trying to discredit God’s Children. A soul that is lit, is a soul that is guided by the Divine Holy Spirit. It does not mean that the person is perfect; it just means that God has seen something worthy within such a soul that He deemed such a soul worthy to enter into His Eterrnal Kingdom…it is just the matter of enduring the trials to the very end, just as all of the Prophets before us demonstrated; as well as the one and only Jesus Christ, Himself, through His Life, Death, and Resurrection. This entry was posted in Thoughts and tagged A call to help fellow man, Armor of God, Battling Evil, Christ, Christianity, compassion, Devum, discernment, Divinity professes selfless love, enduring trials, Evil, Evil professes Self Love, evil ways are temporary, Faith, Fight over souls (good vs. evil), God's Love, God's Promise, God's ways are permanent, God's Wrath, Good vs. Evil, Jehovah, Jesus, Jesus and His Crucifixion, Jesus Christ, Justice for "the Just", Listen for God's Call, Path to Truth, Persecution, Refiner's Fire, Satan's deception, SELF LOVE vs. SELFLESS LOVE, Spiritual Battles, Steadfast Faith, Take up your Cross, Trials and Tribulations, Unconditional Love on May 29, 2018 by foodforthespiritualsoul. In this day and age, there seems to be some “relativism” as to what is right and wrong. There is an acceptance to a “gray area”, when God, the Father of Creation (Devum, Jehovah, Yahweh) did not create this world and for his creations to have this gray area. What is right and wrong were as clear cut as black and white. This is demonstrated in the animals in the wild, as well as the small children, whose souls are deeply rooted in the Divine Law of Love, the ways of the Eternal Kingdom. Satan and his demons created the “gray area” in order to cause confusion between what is right and wrong, so that humanity will no longer know what God, the Father expects of humanity, as one of His Greatest Creations. Confusion is what evil wants humanity to have deeply ingrained within it. Instead of holding ourselves to a higher standard to which God, the Father knows of the greatness that He created for us to be, evil wants us to settle for its mediocrity, or even less. We must remember this. There is a natural order to which God, the Father of Creation had created, in order for everything to exist harmoniously, and equal with one another. Anything outside the Divine Laws of Love, will be less than what its original state was meant to be. Evil will like to portray those that uphold the Divine Laws of Love, as INTOLERANT to those who decide to rebel against God…however, those that uphold the Divine Laws of Love only know of the Greatness that God, the Father of Creation had meant for humanity and the world to be in, and are not settling for what evil wants to take away from it. Evil knows of the greatness that God, has created for humanity to be, and it is out of this envy, jealousy and pride of itself that it wants to mislead…confuse, and lead astray those of humanity that will not allow for it to lead them to such ways. Satan and his demons will throw anything at God’s Chosen, in order to discredit them….to harm them…even to destroy them…at all costs, in order to prevent them from revealing to others its own plan against humanity. There is not more than one right way. Evil will try convince you of this. God, is universal. His ways are universal. Unconditional Love, is practiced by all of God’s Creations. If you look at the animals of the wild…they understand this…and show it in the same way. If you look at the trees in nature, as well as the plants, they even understand this. The reason for all o the violence existing in the world today, within humanity is due to the confusion of knowing the true meaning of unconditional love…..for something that is so simply expressed and felt…it is something that today….very few know of…and very few demonstrate. And those who know of it, and live a way of life of it….evil will try to destroy it, by entering confusion within the lives of such people. We must remain faithful to the Cross…Jesus Christ showed us what it meant to be the Ultimate Symbol of Unconditional Love. It is a way of life that is selfless in nature…..a way of life that will love, despite being hurt…..that will always come back to God, because his/her heart can not bear being away form God, the Father of Creation. Despite the confusion and chaos around, remember to remain on track. Never lose sight of what is right and wrong. God reads the innermost intentions of a heart and soul. And those who have compromised their soul will be rewarded with God’s Wrath for misleading His Children bound to the path of the Divine Laws of Love. Remember, evils ways are temporary, so endure…because God’s ways are permanent. 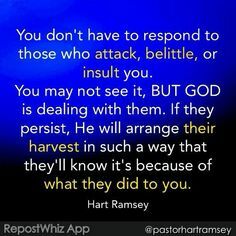 This entry was posted in Thoughts and tagged A call to help fellow man, Armor of God, Battling Evil, compassion, discernment, enduring trials, Evil, evil ways are temporary, Faith, Fight over souls (good vs. evil), God's Love, God's ways are permanent, Good vs. Evil, Jesus and His Crucifixion, Jesus Christ, Jesus Christ the Ultimate Symbol of Unconditonal Love, Listen for God's Call, Persecution, Satan's deception, Spiritual Battles, Steadfast Faith on May 28, 2018 by foodforthespiritualsoul.